Marjorie Perloff at the University of Alabama's "What is a Poet?" 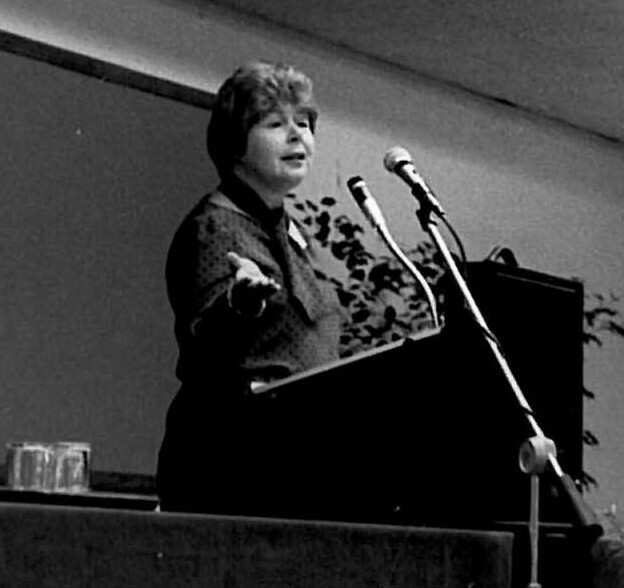 symposium in 1984. My friendship with Marjorie dates back to the early eighties — and, more specifically, to two Ezra Pound conferences, the first held at the University of Maine–Orono (where we sat together listening to Basil Bunting recite his “Briggflats”), and the second at Sheffield University (William Empson’s old redoubt and home that year of the World Snooker Championship). We immediately hit it off, especially upon discovering that we shared a mentor in common in the person of Craig La Driere. The latter had been my professor at Harvard — an elderly, chain-smoking figure of impeccable attire and academic etiquette, one of Pound’s “I Vechii” (“They will come no more, / The old men with beautiful manners”). Although his health was already seriously in decline, over the course of the required proseminar in comparative literature he had still managed to transmit his encyclopedic knowledge of the Russian formalists, the Prague School, and the latest (still-vanguard in 1970) work in structuralist poetics to a small cohort of first-year grad students. Legend had it that he was also one of the world’s greatest authorities on prosody: his twenty-one columns of dense, learned analysis of “Prosodic Notation” and “Prosody” in the 1965 Princeton Encyclopedia of Poetry and Poetics still make for daunting reading. The author of a notable essay on “Structure, Sound, and Meaning” published in Northrup Frye’s Sound and Poetry (1957), La Driere, it turned out, had in the mid-sixties also directed Marjorie’s doctoral dissertation on Rhyme and Meaning in the Poetry of Yeats (1970) at the Catholic University in Washington, DC, instructing her in the art of listening to the page — still her finest skill as a critic. From Marjorie’s earliest prosodic mappings of “free verse” and “free prose” (using her trusty Trager-Smith system of notation) to her recent edited volume with Craig Dworkin, The Sound of Poetry/The Poetry of Sound (University of Chicago, 2009), I sense the tutelary presence of this old-school formalist behind all her work. The other primary advisor of Marjorie’s Yeats thesis was Giovanni Giovannini, a more dyed-in-the wool Poundista who schooled her in the Imagist Do’s and Don’ts and the Ideogrammic Method. Together, these two Catholic University scholars provided il miglior fabbro with a crucial academic lifeline (i.e. access to library books or native Chinese speakers) during the latter’s thirteen years of internment at what was then locally known as “St. E’s” (the Federal Hospital for the Criminally Insane, now converted — such is the genius of place — into the new headquarters of Homeland Security). Marjorie, however, never accompanied her two mentors on their regular visits to EP in the “bughouse” (as he called it); she has written in a recent memoir that she was put off by his politics and his anti-Semitism — two topics (it occurs to me now) that we have never really seriously broached over the course of our thirty years of intellectual exchange. 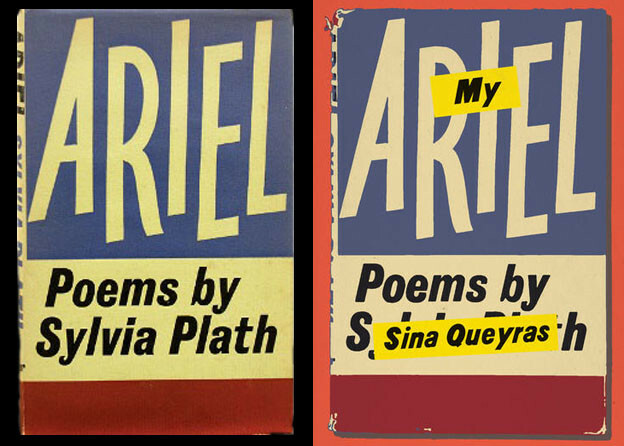 In fact, it would take her another decade before she began to seriously address Pound’s work: her early critical writing deals largely with those “post-symbolist” and “confessional” poets she would later so polemically reject — Yeats, Stevens, Lowell, and Plath. Having made a crucial (and clearly career-changing) transit through the work and (visual) world of Frank O’Hara — one that led to her lifelong friendship with John Ashbery, and via him, to the discovery of that “Other Tradition” represented by such figures as John Cage, Jasper Johns, and Merce Cunningham — Marjorie returned to her Catholic University Pound beginnings in a pathbreaking essay, “Pound and Rimbaud: The Retreat from Symbolism,” published in the Iowa Review in 1975, a piece that would provide the core of her The Poetics of Interderminacy: Rimbaud to Cage (Princeton, 1981). This was the Marjorie whom I had been reading and admiring when we met at the Sheffield conference — where she delivered her memorable “Pound/Stevens: Whose Era” and I presented my “Dada Pound.” We immediately recognized that we were both working the same side of the aisle: to resituate, in the wake of Kenner and Davenport, Pound’s work within the broader comparative (and Continental) contexts of early twentieth-century modernism and the avant-garde. While Marjorie was committed to what in retrospect looks like a slightly over-Manichean division of modernism into a post-symbolist strain (Yeats, Eliot, Stevens) and a Rimbaud-inspired constructivist, antilyrical “poetics of indeterminacy” (Stein, Williams, Beckett, Ashbery, Cage), I had in my monograph on Pound and Remy de Gourmont (Instigations, 1978) instead wanted to explore the complex continuities between the French fin-de-siècle and the emergence of what Apollinaire called l’Esprit Nouveau — a kind of dialectical persistence of the past within the erasures of the present that appears far more evidently in Marjorie’s brilliant The Futurist Moment: Avant-Garde, Avant Guerre, and the Language of Rupture of 1986 (where she returns to Pound in a chapter on “The Prose Tradition in Verse”). Among Marjorie’s remarkable spate of books from the eighties, however, the one I return to most frequently is The Dance of the Intellect: Studies in the Pound Tradition (University of Chicago, 1985). I still read with pleasure the sideswipes at Bloom-Vendler-Kermode in her “Pound/Stevens: Whose Era?” — an influential foray into prose de combat that did much to fuel the great Poetry Wars of the eighties, though now that we all live the Ashbery Era (i.e. at once post-Stevens and post–avant-garde), its dichotomies perhaps play out less saliently today. I still assign my students her reading of Pound’s Gaudier-Brzeska as a “collage manifesto” (which well describes her own best work as critic as well — the ideogrammic display of illustrative texts in the service of a passionate argument for the New). Her minute readings of the linebreaks of Williams and Oppen remain models of sheer inspective energy and should be required reading for young poets. And her final chapter on “L=A=N=G=U=A=G=E Poetry in the Eighties” reminds us all just how unfailingly generous she has been to les jeunes over her entire career.